“One of the main reasons I took the job is because I wanted to represent a community that’s never been represented before. 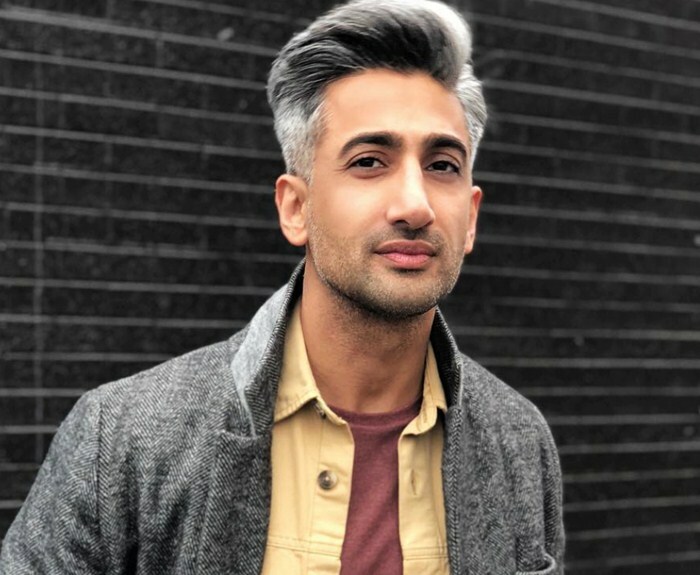 I’m not talking about underrepresented—I mean never been represented.” Conde Naste Traveler recently interviewed Queer Eye’s style expert Tan France about growing up in the UK, breaking reality TV barriers, and his passion for Pakistani cooking. Netflix’s latest revamp of the “classic” show “Queer Eye for the Straight Guy” premiered in February to rave reviews. For newbies who never watched the original on Bravo during the early-mid aughts, the show centers on five gay men who are experts in grooming, fashion, culture, design and cooking and tasked with transforming the lives of the hopelessly style challenged. In the reboot, the “Fab Five” scour the Atlanta area for “lonely and messy men“. Tan, a Brit of Pakistani descent, lives in Salt Lake City with his husband. France talked candidly with CN Traveler about the overwhelming response to his role among people from the Middle East, Asia, and Africa along with his rather calm reaction to being asked about his “terrorist affiliations” by one of the guests on the show’s first reboot episode. Kudos to Tan for staying cool and diplomatic in the face of such racism and ignorance.